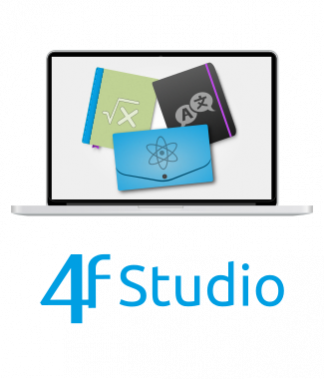 Subscribe to 4f Studio and get access to a comprehensive study and learning environment designed for STEM subjects. Writing and checking math has never been easier! Suitable for self-studies or for use in class. 4f Studio is an online application, accessible at fourferries.com/4fstudio. Available as student and teacher edition. Click on the products below for more information.